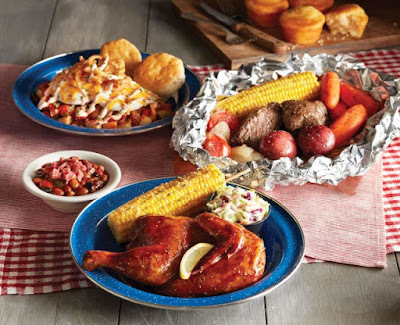 The Campfire menu is back at Cracker Barrel Old Country Store for a limited time this summer and brings with it some new faces including the Smoky Beef Brisket Breakfast and S'mores Latte. The Smoky Beef Brisket Breakfast features smoky beef brisket served over Sweet Pepper n’ Red Skin Hash and topped with two eggs, melted Colby cheese, house-made crispy onions, smoky-sweet BBQ sour cream, and parsley. Two made-from-scratch buttermilk biscuits are also included. The S'mores Latte consists of marshmallow, milk chocolate, and graham cracker flavors blended with espresso and steamed milk and then topped with whipped cream, crumbled graham crackers, and a piece of Hershey's Milk Chocolate Bar. 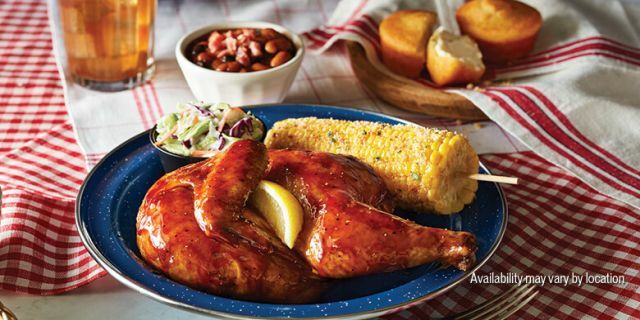 - Roasted Sweet Glazed Chicken - A half chicken roasted with Southern Sweet Tea Glaze and served with seasonal Campfire Baked Beans and Seasoned Corn on the Cob. The dish also comes with coleslaw and a choice of made-from-scratch buttermilk biscuits or corn muffins. - BBQ Pork - Roasted pork shanks rubbed with smoky seasoning and then covered with smoky-sweet BBQ sauce. Also included are Campfire Baked Beans, Seasoned Corn on the Cob, made-in-house kettle chips, a sampling of pickles, and a choice of made-from-scratch buttermilk biscuits or corn muffins. - Campfire Beef - Slow-cooked USDA Choice Beef Chuck Roast, sweet corn on the cob, red skin potatoes, fresh carrots, tomato wedges, and onions, all seasoned with the chain's signature campfire spice and then cooked in foil. Served with a choice of made-from-scratch buttermilk biscuits or corn muffins. 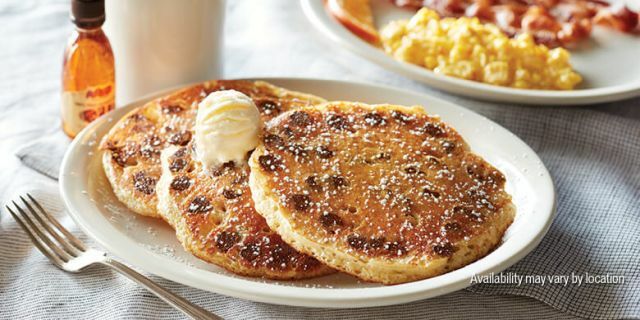 - Chocolate Chip Pancake Breakfast - Three chocolate chip buttermilk pancakes plus two eggs, and a choice of thick-sliced hickory-mmoked bacon, smoked sausage patties, or turkey sausage. - Loaded Hashbrown Casserole - Hashbrown Casserole finished on the grill with bacon pieces and a slice of melted Colby cheese on top. - Campfire Baked Beans - Smoky beans cooked with tomato, mustard, and spices, topped with chopped bacon. - Seasoned Corn on the Cob - Corn on the cob sprinkled with North Carolina BBQ Spice, parmesan cheese, and parsley. - Strawberry Lemonade - Lemonade mixed with strawberry syrup. 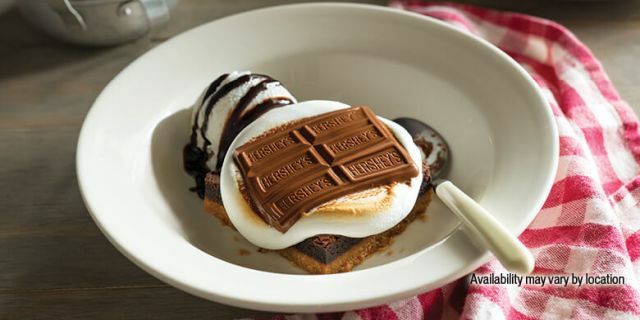 - Campfire S'more - A chocolate fudge brownie with buttery graham cracker crust topped with a toasted marshmallow and melted Hershey's Milk Chocolate Bar and served with vanilla ice cream drizzled with Hershey's Special Dark Sauce. The Campfire menu is available through July 15, 2018.